Love the gfx style you got here. 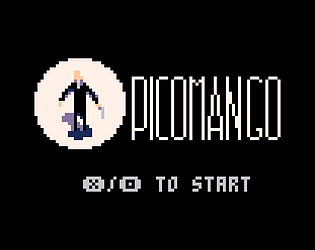 Great title font and pixelart. Music is really nice - can be hard to get nice sounding music in PICO-8. Great level design (even tho they are the orig ones - still a great de-make representation). I got stuck about 1/2 way through (first with two "distractors"? ), but still had fun! All the credit goes to the original tbh. At least I'm glad my demake doesn't turn people off. your game is sensational, I started to play and I could not stop until I got to the end, congratulations, do not forget to vote for me, thanks.